Is your smile bright, shining, full of attractive, healthy teeth? Or are you seeing discolored, worn down, damaged teeth? If your smile isn’t looking its best, you may feel self-conscious about it, perhaps to the point where you cover your mouth when you laugh – or even avoid laughing and smiling altogether. As unfair as it is, in our culture, discolored and damaged teeth carry a stigma, and people may judge you unjustly based on the smile that you present to the world. 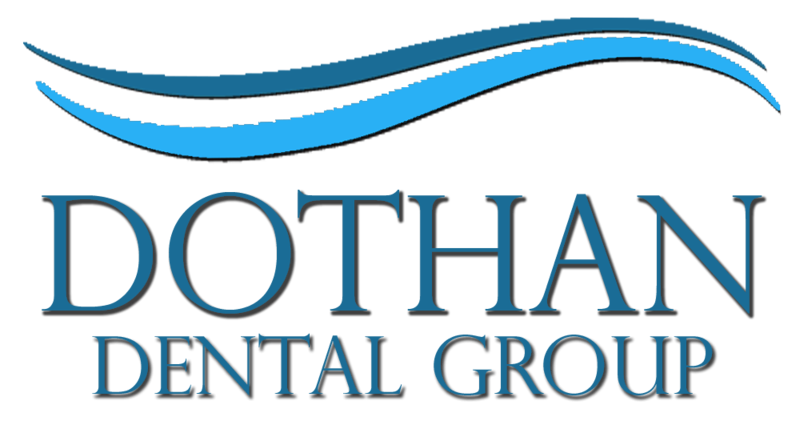 At Dothan Dental Group, we are skilled in the art of full-mouth makeovers using prosthodontics (man-made tooth replacement systems) and other reconstructive techniques. Both Drs. Ashley C. Matthews and T. Wayne Prim have extensive experience in the different technologies available for restoring your smile so that you will once again feel comfortable and confident flashing it at everyone you meet. A full-mouth makeover uses a combination of techniques and restorative technologies to restore both the appearance and function of teeth that have been significantly damaged because of trauma or decay. The process starts when you call our office to schedule a consultation appointment with either Dr. Matthews or Dr. Prim. We’ll perform an examination, discuss your concerns and your goals with you, and collaborate with you to create a treatment plan that meets your needs. The length of time required to fully restore your smile will depend on how extensive the damage to your teeth is and which procedures we will be using. If your smile can be repaired with porcelain veneers, you could be done in just a couple weeks. If you need additional work to fix your teeth or multiple procedures, it could take months. We will discuss these options with you and also explain which procedures should be done first to give you the best results. Relieving any pain and restoring functionality will always be our top priorities. Many of the technologies, such as crowns, bridgework, and dental implants, are designed to last a lifetime. Veneers do need to be replaced periodically, and partials and dentures will need adjusting over time to make sure that they always fit properly. Continue to visit our office for regular check-ups so that we can inspect your dental work and make sure that everything looks good. Are you ready to talk to Dr. Matthews or Dr. Prim about restoring your smile with a full-mouth makeover? Call Dothan Dental Group today.